It seems to me that a lot of my posts begin with a reference to the weather and I'm afraid this one is no different! Listening to the gale lashing the rain against the windows in the early hours, I was wondering if my route that morning would be worth it, as it had been planned with the promise of a sunny day. I needn't have worried. 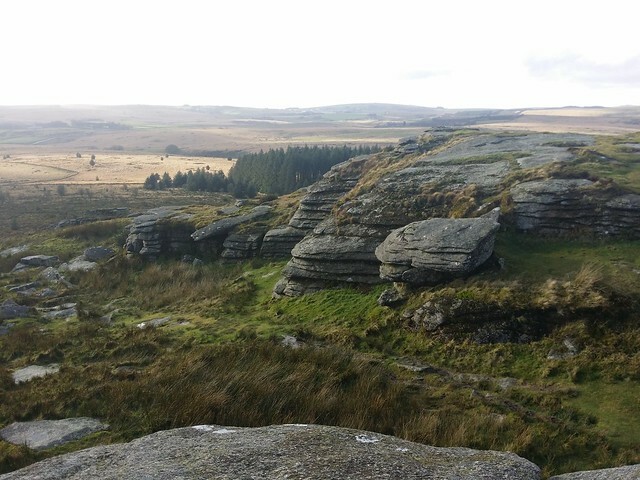 By the time I had made my way from Okehampton to Princetown, and had dragged myself out of the Fox Tor Cafe after brunch, the prospects were brighter. Once parked up in Bellever Forest, near Postbridge, the sun decided to join me. 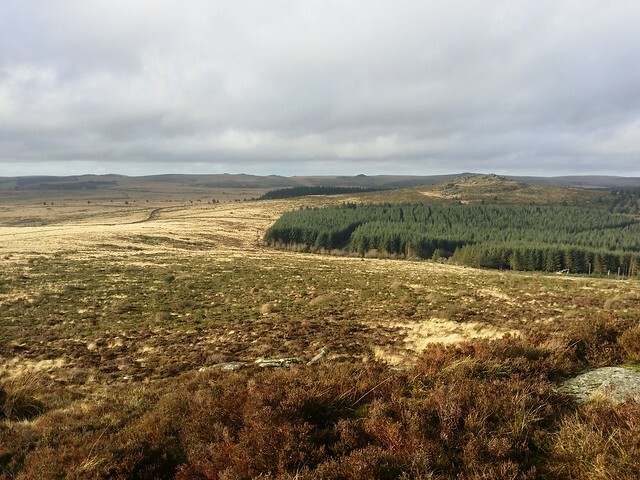 I made my way along the wide track that passes through the forest, out onto the moorland where Bellever Tor can be seen ahead. 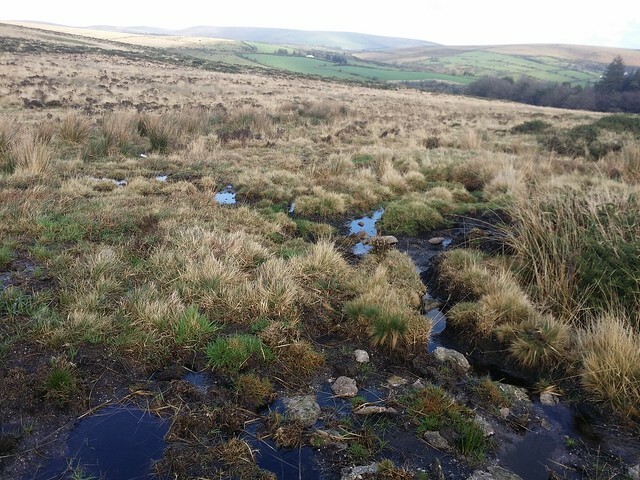 It's a well trodden path up to the tor, feeling the strain from the amount of water that has been dropping from the sky recently. I could sense that even on good tracks, the going was bound to be heavy. 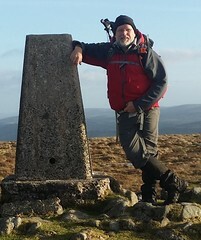 Atop Bellever, I could see Laughter tor further south. The route could be seen but it was less used and looked even boggier. I surmised that my late start and the conditions may well have me rethinking my goals for the day and a tor might have to be sacrificed. 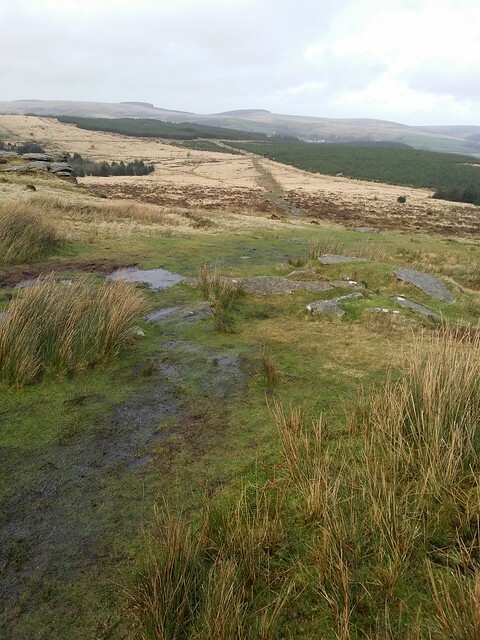 Down the hill, and through a waterlogged gate, I began the muddy climb up to Laughter Tor. 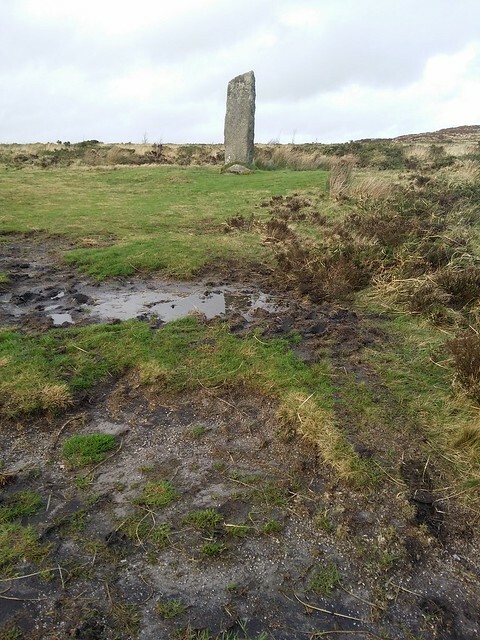 My earlier assumptions were correct; this was a slog in the mud, and the moor was struggling to cope with the rain. 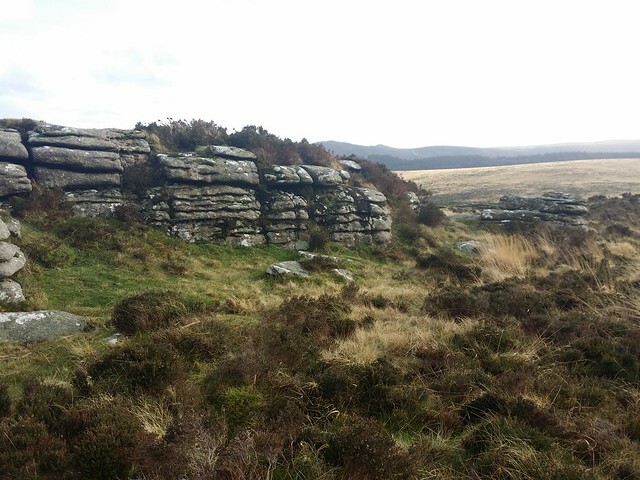 Before the outcrop, I took a quick look at an enclosure that lies to the south of Laughter Tor. 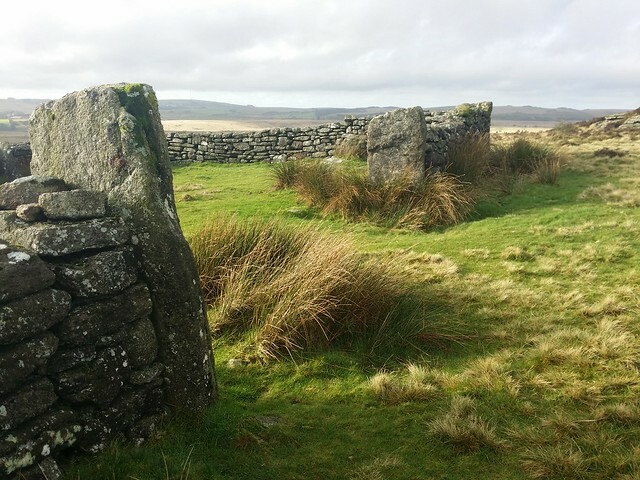 This is said to be an animal pound, similar to a sheep fold, and I read that it is sometimes used when the pony drifts occur. It also looks a fine place to take a bit of a break from the elements, but today there was little need for it. Laughter Tor has a magnificent vista well worth a visit to experience, but its granite outcrops are short and little incentive for many walkers to stray further than the mighty Bellever. But for us Tor Baggers, its a must, and you'll likely have it all to yourself. My next tor would take me into new territory. I've never before ventured to this part of the East Dart. 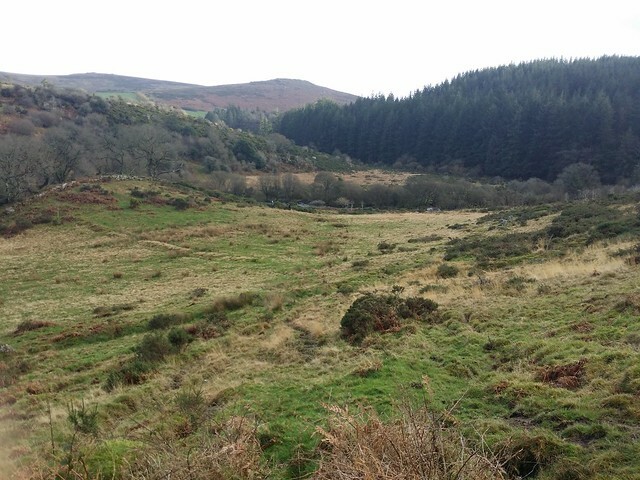 Previous walks have always had me dropping down east beside the forest wall, to stepping stones that, once crossed, can take you either up onto the Riddon Ridge, on a bridleway to Babeny, or on a stroll north along the bank to Bellever Bridge and the Clapper. 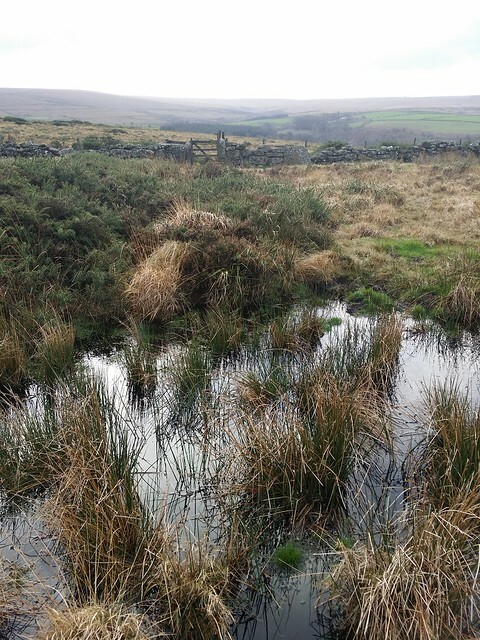 I was picking my way south-east, partly contouring to avoid the worst bog, but often abandoning that plan to make the most of a promising animal trail. 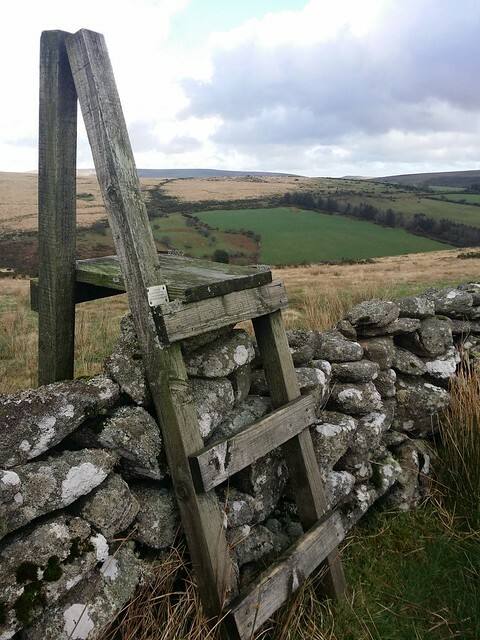 I eventually reached a ladder stile and wandered through more stable terrain, and a succession of derelict walls. At last, there was nothing left but to head down the hill in search of Blacka Tor (East Dart). From above, I could see no sign of it, concentrating on my footing. 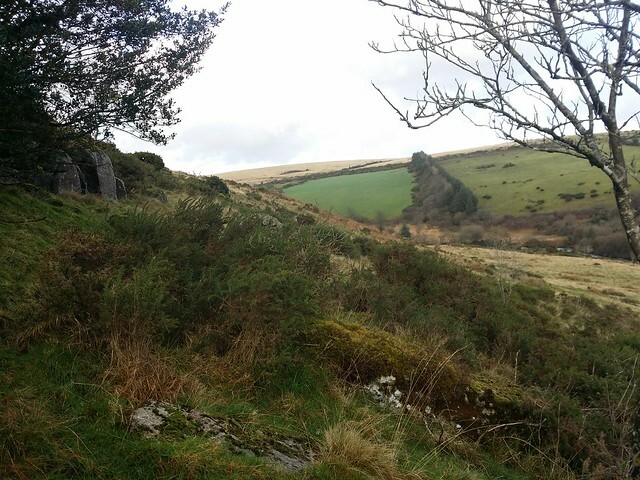 I could see a couple below, exploring this little area of tranquility by the East Dart, with a little hummock beside the river. On the horizon I realised I could see Yar Tor and everything fell into place; about half a kilometre further downstream, beside the Little Newtake Plantation there sits some stepping stones and the ancient Dartmoor Forest Boundary Mark known as Wallabrokesfote - Wallabrook Foot, confluence with the East Dart. Thoughts momentarily wandered back to my journey on the perambulation back in June. I decided I would have to leave this spot for another time, when I could afford to linger. Fortunately, I wasn't going to have to make my way all the way down to the river, as I finally spotted the tor hidden to my south. 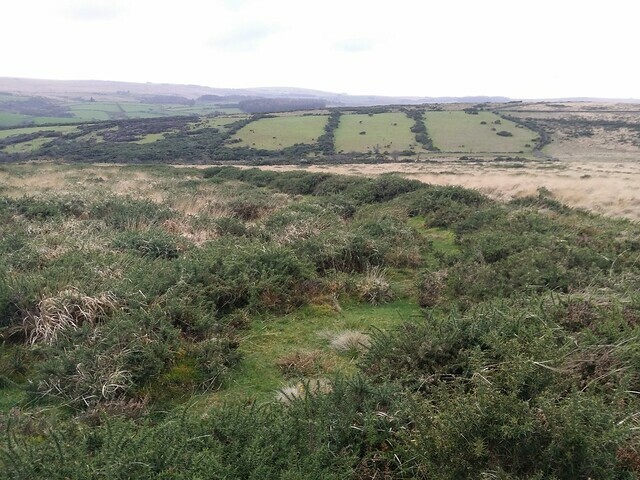 Blacka Tor (East Dart) is partially hidden by a large holly bush and gorse. When I managed to get to it, I decided that its surroundings made it a satisfying find, and not its stature. Some back tracking might have been the better option, but I tend to avoid traipsing over old ground, and went as direct as the conditions allowed me to Huccaby Tor. 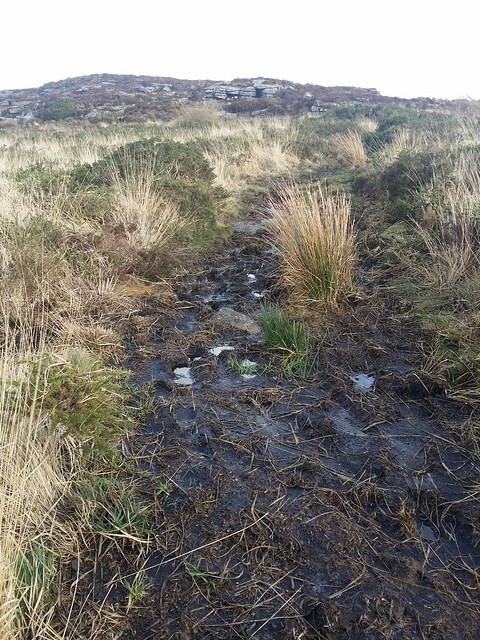 There were more than a few occasions where I had to stop and scratch my head pondering the easiest leap over the sodden turf; quite often, these were the paths! I could see Huccaby, sitting the other side of a tired wall. I made for that wall with the intention to squeeze through, only to find a fence of barbed wire the other side. 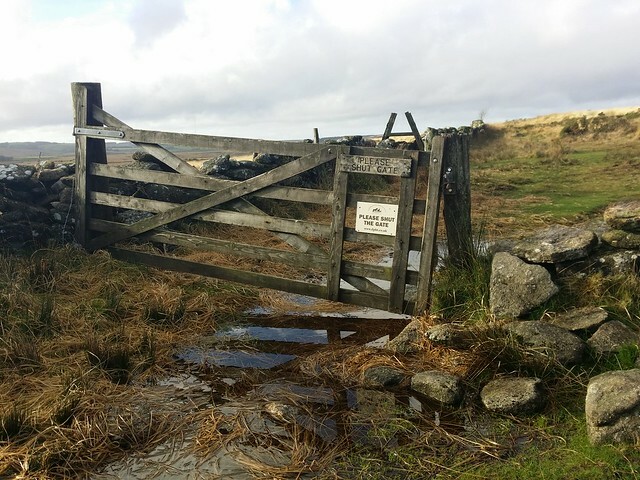 So, I was resigned to follow it west, as best as the mire would allow, to a bridleway with a gate. I liked Huccaby Tor. It has a number of granite outcrops, nothing high, but plenty of interesting shapes to enjoy. Of course, it also has great views, particularly to the south-west across to Hexworthy and Down Ridge beyond. Time was getting on now, and I was conscious that my mate Jim would be arriving soon for New Year. I would be a poor host if he turned up and I wasn't there to greet him! I began the march for home, making my way passed Outer Huccaby Ring. This is a collection of prehistoric enclosed settlement and associated field systems. It doesn't stand out, like Grimspound, and I almost walked straight passed. All I could see was a short oval bank, covered in gorse. 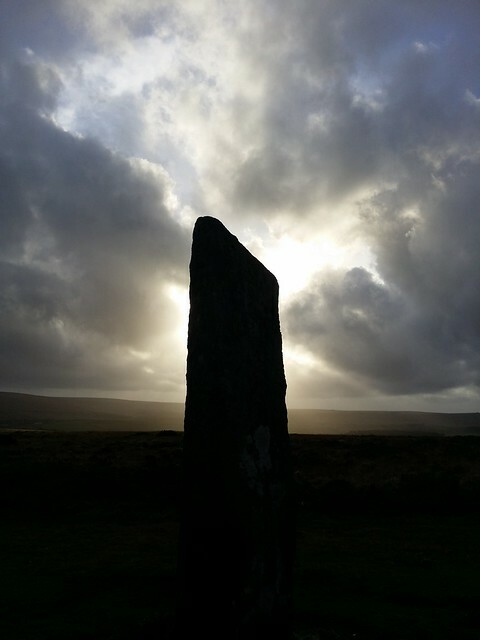 I hurried on passed a couple of fenced areas, either sink holes or mine shafts, before making for the Menhir, or standing stone, known as Laughter Man, or Lough Tor Maen. Then it was down to the gate I had passed through earlier that day, retracing my steps up and over Bellever Tor, and back to the car before darkness descended. 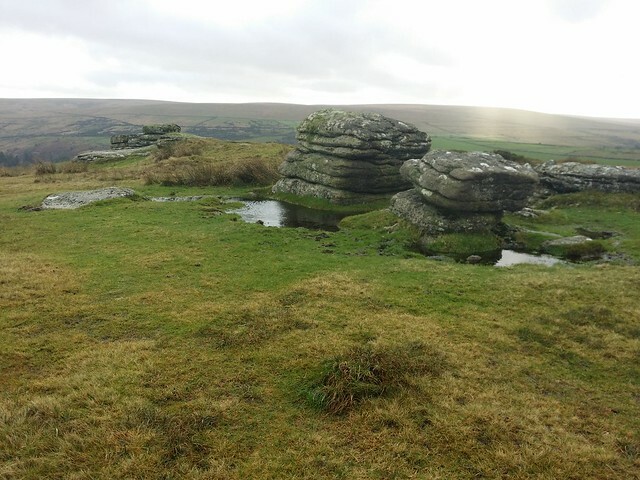 I had one more tor planned, a quick nip across the B3212 to Arch Tor, but, as originally thought, this would have to be left for another day. I had to be home..